Do you consider yourself as a nature lover? Does the gree﻿n and the meadows calms and makes you happy? If the answer is "yes," then perhaps you should try a few rounds of golf. It's so, you will need a proper equipment, and one of the most important parts is the driver. So, be ready for the challenges, here's our list of the best golf drivers which will suit beginners hand. When you put the golf ball on tee spot, the first club which you are going to use is called a driver. It is recognized by the biggest head of all of the clubs, and the lowest loft. Earlier, professional players tended to have less lofted drivers, but this trend had changed recently, with a lot of them now opting for those with a higher loft. Driver's shafts are made in three varieties of which all have their advantages and disadvantages.Steel is one of two most commonly used ones, and thus this material gives an excellent control to the player; it is heavy and can lead to shorter distances covered. On the other hand, it is resistant and effortless to maintain. Composite materials are making progress recently as well, combining the two previous ones. A combination of steel and graphite is yet to be properly asserted and tested but still is worth keeping an eye on it. In general, the mass of a driver is somewhere between 440-460 cc. The beginner should look into using the heavier head because those require less experience, and in case that you make a mistake, it will not be a terrible one. 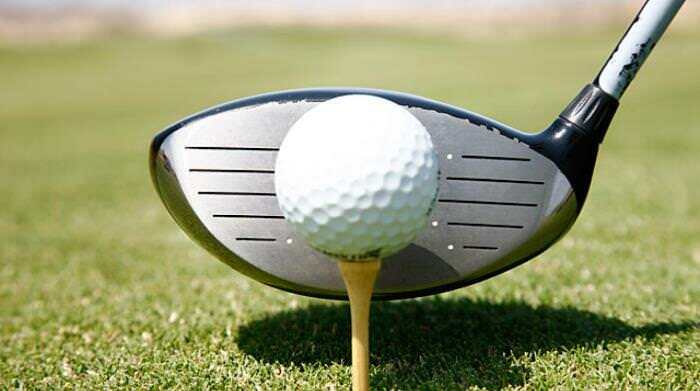 As for the shape of the head, it affects the ability to control the ball so that you may choose from round one, pear shaped, square or extended one. The angle of which the face of the club’s head is set is called the loft. 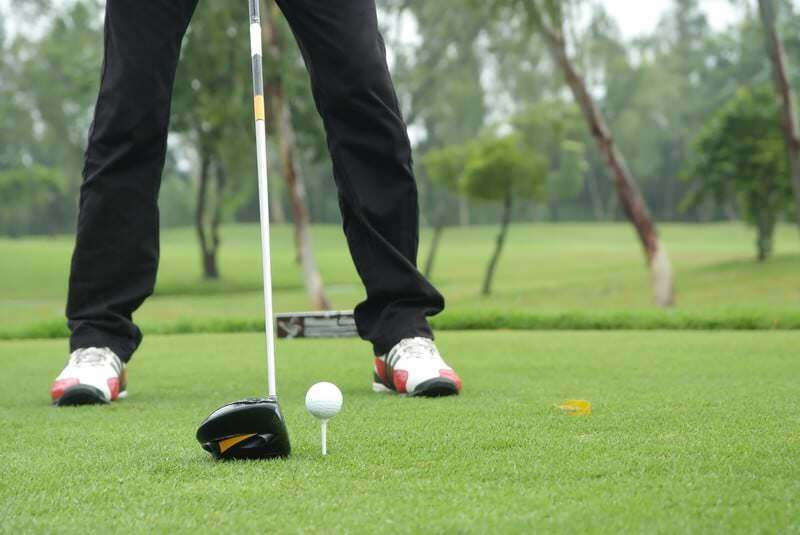 It has a significant influence on the distance covered, the backspin as well as to the trajectory of the ball. In average, the loft of the driver is in range of seven to twelve degrees. Beginners will more likely use those with a bigger angle, while the professionals will opt for those with smaller one. Big angle gives a lot of backspin, which in turn reduces the distance covered. 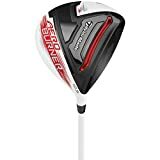 Considering that today you will probably spend on a single club more than you would before, it seems that buying a driver can make a serious impact on your budget. Luckily, modern science had helped us regarding availability. Surely, if you can spend $500 on a single golf cl ub, without feeling the absence of that money, do so. But most of the beginners are opting for more affordable and budget-friendly solutions. 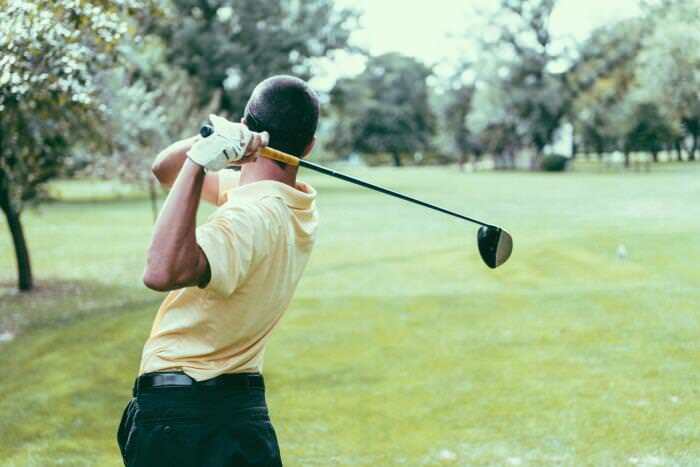 In any case, saving on a golf club is not something you should do, because that is an investment, and you will use that club (hopefully) often. In other words, if you find the driver which suits you, find it at a discount, and if you cannot, buy it at as low price as possible. Buying them online is also beneficial, because a lot of sellers are offering free shipping, and you can make a choice very fast, without leaving your room. The first thing which is noticeable with this club is its looks. We loved how the manufacturer gave it more of a futuristic and techy appearance, which will turn some attention. Moreover, this look is accented even further with two sliders which make you able to adjust the weight and loft of the head. The Fujikura Speeder 57 Evolution shaft is made of graphite, it is lightweight, and feels well balanced. Moreover, you can adjust the angle of the whole head, by simple turn. 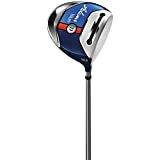 The volume of the head is standard 460cc with sweet spot positioned in that way that increases the distance covered with reduction of the backspin at the same time. However, such stylish head might give you a few problems. Cleaning it from grass and dust might prove a bit difficult because of the lines which are made for better aerodynamics. The hold is Lamkin UTX Grip which is very comfortable to hold even in longer rounds. Although beginners may feel slight discomfort, once you get used to it, there is small chance that you will want to use any other one. Made in black variety, the Big Bertha V Series is all about the speed. With aerodynamic head, it is guaranteed to increase your drive speed and distance as well. 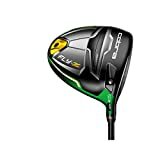 The face of the head is also specially designed for higher speed, thus improving the shape and trajectory of each drive. Loft can be adjusted, and you have eight settings at your disposal. The importance of adaptability is great because it can make a difference between an average and good golf player. The shaft is made of graphite, with regular, stiff and senior flex available, which is great, so if you know your swing speed, you can find the one which suits you the best. It feels comfortable in hand, but nothing to make it stand out from the crowd. Made in white and black color, with the hint of red, this driver is somewhat traditional. There are no adjustable parts, and while this is a bit of a drawback, it can also be an advantage. 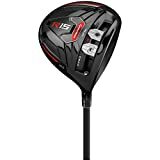 With standard settings, you are getting used to a more normal clubs, so it can’t happen that one day you can’t find proper driver because you have adjusted your previous one to perfection. Simple approach has its benefits in terms of cleaning because there are no “nasty spots” where the grass and dirt might stuck. With this driver, all you need is a cloth. Matrix Speed RUL Z 50 shaft and TM Speed Grip are also intended for greater swing speed, but for those who swing fast, it may feel a bit too light, so it is recommended that those people opt for a heavier one. Another techy-looking club, with adjustable head. What makes this club different, is a wide array of colors available. Although this is not something crucial to quality, it is nice to have a choice. The head is of standard 460cc, and it is noticeable the sound it makes. It is only to be thought of, if the manufacturer did it on purpose, or accidentally made one of the best sounding golf clubs. Adjusting the weight in CG zone will give you better balance and bigger moment of impact, thus increasing your distance. As for the shaft, it is made of graphite, with regular, stiff and senior flex setting available. 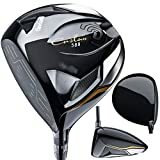 So many options are given that we have an impression that manufacturer intended to make a great driver for everyone, from a beginner to semi-professional players. The grip is comfortable, and feels secure in hand, without slipping. Perhaps a bit odd choice, concerning the looks of this driver, but still, it had earned its place.Made with a standard 460cc head, this driver sticks to a simple approach. You need to find which loft is the best suiting for you, order that one, and pay the low price for that. Still, there is a bit more for this driver. First of all, it is very forgiving. 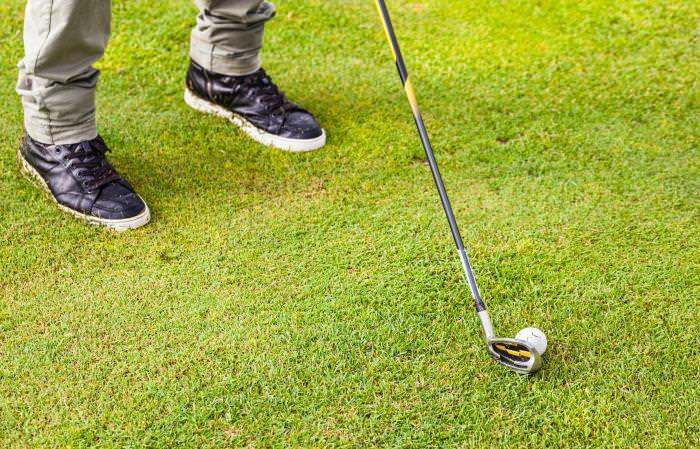 Those players who tend to slice the ball might find themselves fading it instead. The main advantage of this driver is its price. It is very low, and if we consider the quality of the product, it is clear that this is one of the best deals available. Cleveland is a company known for their lightweight clubs. This driver is no exception from this rule. Although the head is in 460cc variety, it feels very light for an adjustable driver. Made of titanium with a screw which adjusts the weight and balance, it looks so expensive, as if it is a limited edition. The shaft is made from graphite and is a bit stiffer than it should be. Nevertheless, the quality of production is apparent, and there is no mistake; it is a Rolls-Royce among the drivers. It fits the hand comfortably, and the swings are steady. The main advantage is its loft adjustability. Although the instructions are a bit confusing and will require several readings to find your way around it, you may eventually succeed. It has much influence on every hit, and there is a chance that your drive will increase in length, but do not expect wonders. It is better known for its forgiveness, so it will reduce handicap instead, which is also a great feature for a club to possess. The weight adjustability is there just for saying that it has it because we have felt that it has almost no influence on strikes, no matter how you set it. However, the manufacturer has several more screws of different weight in his offer, so playing with those might bring you better results.